Rita Wolff, of Keller Williams Realty, threw a little soirée the other night at Art Elements Gallery in Newberg. 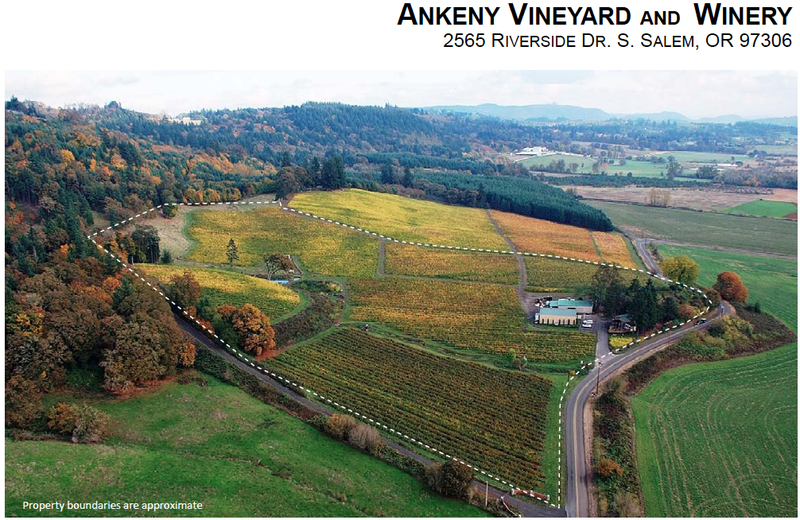 Allan Holstein, of Argyle Winery was the featured speaker, and the theme of the evening was “Buying vineyard property in Oregon Wine Country”. The fact that Rita invited me to this party I thought blog-worthy for the reasons that you are about to read. Rita and I are two on a very short list of real estate brokers, in the state of Oregon that truly specialize in brokering vineyard properties. We work for different companies, and might be perceived as competing for this business. Rita’s get-together was to an invite list of her clients, and prospective buyers, and one might think it imprudent inviting the competition to the party, and making introductions to your client list. Well the blogworthiness of this event lies in the quality of the working relationship that Rita and I have built, and the fact that, in many ways, we are better positioned to meet our clients’ needs working cooperatively as a team, than competitively as rivals. Rita and I have both been in the Yamhill Valley long enough to know our way around the back roads, and many of the stories behind the properties that are now vineyards and wineries. There’s a good chance that she or I was involved in the sale or purchase of these properties. In the current real estate market there are many property owners that are interested in selling a property, but are not on the open market for a variety of reasons. These traditionally are known as pocket listings. Whereas most brokers keep this information pretty close to the vest, Rita and I have a long working relationship, and a confidence in each others integrity that allows us to share this information for the benefit of our real estate clients, creating a better opportunity to match buyers with the properties that best suit their criteria than might otherwise be possible. Another factor that might be of interest to someone considering a purchase of vineyard property, is that, while Oregon law allows brokers to represent both buyer and seller in the same transaction (See agency pamphlet here), and this is commonly done, some buyers and sellers are more comfortable with individual representation in the negotiations. While I tend to feature the listing and marketing of vineyard and winery properties, Rita’s specialty is representing buyers that are looking to purchase these types of properties. If you are more comfortable with a separation of representation, then enlisting me or Rita as a cooperating broker in your transaction might be something to consider. Rita and I both have an extensive network of professionals that a buyer will want to involve in the due-diligence phase of a vineyard property purchase, including soils analysis, vineyard development and management, water rights, land use regulation, clearing and site prep. Custom crush wine making, etc. So if you’re in the market for a vineyard property, or just a home in Oregon Wine Country, give me or Rita a call. In either case, there’s a good chance that we’ll be working together to help you find the perfect piece of property. The story would be unfinished without a mention of the venue where the party was held. Art Elements Gallery was recently opened by Loni Parrish. Many that live in the Newberg area are familiar with the contributions that Loni and her husband Scott and parents Ken and Joan Austin are continuing to make to the community. Art Elements is another great example of why this Valley just keeps getting better. After opening the Allison Inn in Newberg last year, and featuring local artists in the hotel’s décor, there has been an increasing level of inquiry from hotel guests as to the possibility of buying the art pieces. Loni decided that the best way to accommodate these inquiries and support the artists at the same time was to create a gallery space for this purpose. The resulting gallery is really stunning, and a terrific venue for hosting events like the one described.